Registrations are open for the current batches, feel free to contact. Banking sector in India is one of the largest employer. Moreover, Banking is also one of the most popular career option in India. Especially, Banking PO jobs are the most popular for young starters. There are lakhs of aspirants in India who sit for various public sector Banking PO exams. After taking months of Banking PO coaching in Delhi. It is difficult in sea of competition to get through prelims to mains and interview sessions. For which students rigorously prepare in Banking PO coaching in Delhi. Nevertheless, candidates who have resources and expert guidance find it easy to crack top Banking PO exams. Learning Skills brings you top quality resources and expert guidance. That equip you with right knowledge and skills to crack Banking PO exam such as IBPS, SBI and others. Moreover, our Banking PO faculty employ audio-video and slide presentation for teaching. That automatically enhance classroom learning experience for students. In addition to this, Learning Skills offer interview preparation and group discussion preparation sessions. For students, who have cleared tier 1 and 2. Special help is provided to those students, who qualify for the later stages of the selection process for Banking PO jobs. Are you still not sure about Banking career? And looking for a proper detailed guidance? Then, you should read one our experts’ blog here on Bank PO Exam, Scope, Career and Job. Get latest updates, information, and study tips on Banking PO exams at our dedicated Facebook page ‘Banking PO Coaching Institute’. 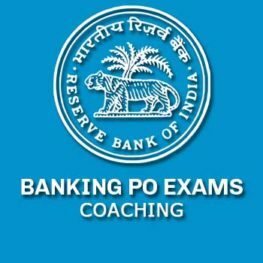 Banking PO exam coaching is available for the IBPS and SBI Bank PO exams. For more info, please contact us on 9999149355.